MozFest is Mozilla’s annual festival of the internet, chock full of big new ideas about the open web and the future of human societies and technologies. 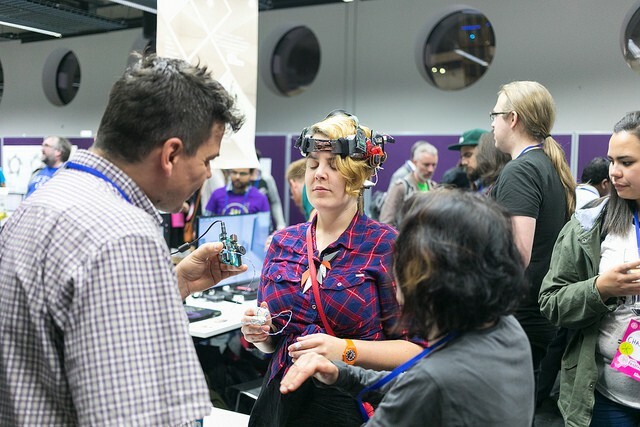 MozFest’s hundreds of sessions and events are participatory and beginner friendly: everyone is welcome. Expect interactive learning, lively dialogs and debates, and hands-on prototyping and hacking. Tickets for MozFest weekend (October 26–28 in London, UK) are on sale now. 1.Explore the future of interplanetary messaging. How can the comm lags between Earth and Mars inspire new communication tools? In the session “Message Delayed: Designing Interplanetary Communication Tools” led by Sands Fish from the MIT Media Lab, participants will create new messaging clients that imagine what conversations will be like at the limits of lightspeed. 2. 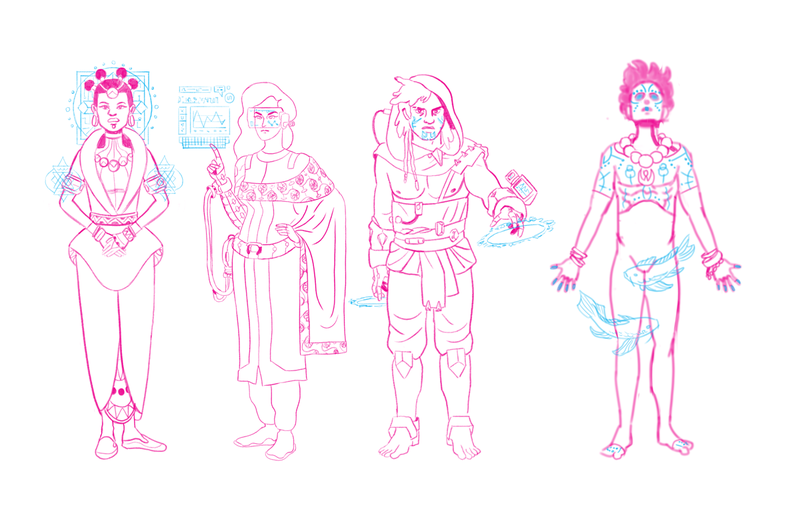 Join a syndicate in the imagined world of Xenshana. In a parallel dimension that explores the concept of decentralisation, people self-organise into open groups that create art, write code, and even build cities. Their technology runs on consensus and their society is fuelled by data, which is an extension of individual identity and collective culture. Contribute your own ideas to the Xenshana story now. All hail Dzivaguru, the great Rainbow Serpent of Xenshana! 3. Hunt Pulsars! Join a global citizen science project and learn how to classify real data taken with The Low-Frequency Array Telescope (LOFAR). You’ll help researchers locate dense, dead spinning stars across our galaxy. The session “Pulsar Hunters” is led by staff from The Jodrell Bank Centre for Astrophysics. 4. Talk back to SkyNet. In “Rage against the Machine Learning: Why ML needs YOUR input!” join Elpiniki Apostolaki Iosifidou of University of California, Berkeley to discover how machine learning is applied in real life settings, how to identify problems that can be solved by it, and the broader societal and ethical implications that new machine learning applications present. 5. Plan your own Wakanda-inspired utopia. The session “The co-designed city; building smart cities with embedded social justice” draws on critical design, community centred practice, traditional Igbo masquerade (mmanwu) performance. Participants explore how technology can promote social justice by prototyping solutions in cardboard, code and post-its. Led by Florence Okoye of AfroFutures_UK. 6. Backcast to the Future. Tired of apocalyptic scenarios and Black Mirror episodes? Join Mozilla Fellow Julia Kloiber to brainstorm, speculate and sketch ideas to develop a set of new, diverse narratives. In the session, “Imagining the Futures You Actually Want” You’ll get a crash-course in backcasting and discuss how this can be applied to work across disciplines. 7. Help build an Afrofuturist Museum in VR. Become part of an international, co-creative team building the VR Colored Girls Museum. In this session participants use A-Frame, Reality and new WebGL graphics interfaces to design assets for online galleries, including gesture and voice features. “Afrofuturism on the Open Web: Building the Colored Girls Museum” is led by The Alliance for Media Arts + Culture. 8. Experiment with Interactive Narrative. Hack the Choose Your Own Adventure format to make complex data, complicated social issues, and multi-faceted stories more open, accessible and experiential (also more fun and cool!). Participants will use cue cards, pin boards, markers and other analog tools to craft a working prototype of their own interactive narrative. “Hack Your Own Adventure: Turn Your Research Paper/Longread into a Game,” is led by Natalie Walschots from Dames Making Games and Stitch Media. 9. Geek out at our Science Fair. The Fair kicks off the Festival on Friday night, featuring the latest in emerging tech and ideas. Talk directly with project creators and test out the tech yourself. 10. Admire MozFest’s Space-Age HQ. 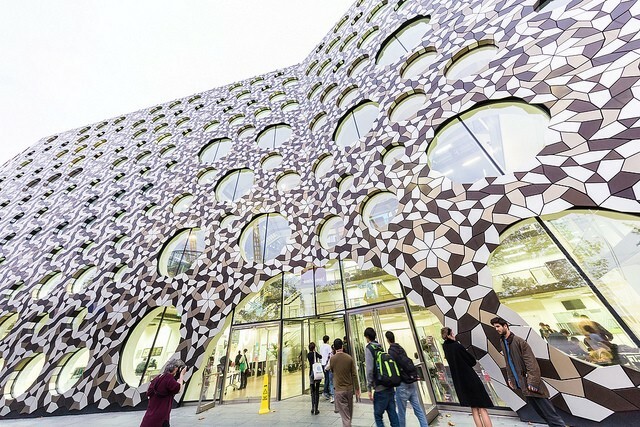 Check out the with bubble windows and gorgeous facade off Ravensbourne College, covered with tessellated non-periodic tiles, by London architects Foreign Office. Tickets for MozFest weekend (October 26–28) are on sale now. Zannah Marsh is a writer and artist transplanted from New England into the wilds of North Florida. Works on Learning Experiences for Mozilla.